This year, throw a different kind of birthday or company party! 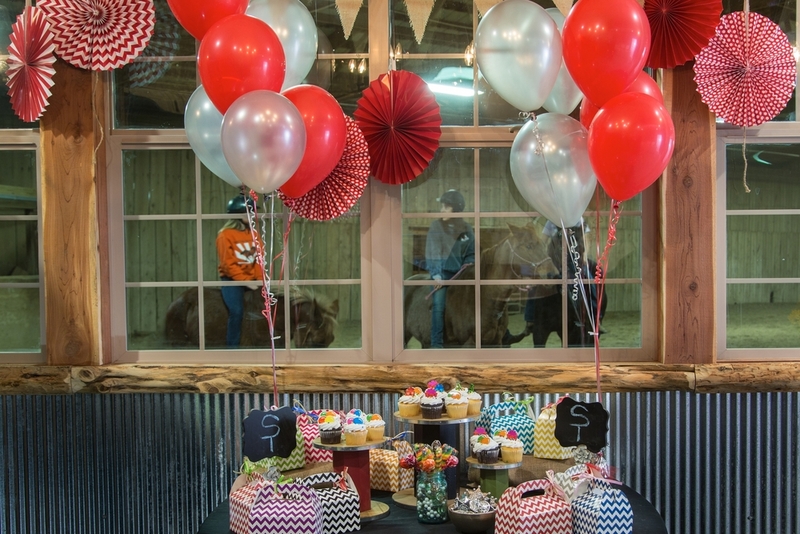 Sunset Trails Stables has become a favorite, centrally located destination for unique, memorable celebrations! Located less than thirty minutes from Downtown, the Plaza and Johnson County area, patrons can experience the picturesque, fresh-air atmosphere of the great outdoors, without traveling great distances. 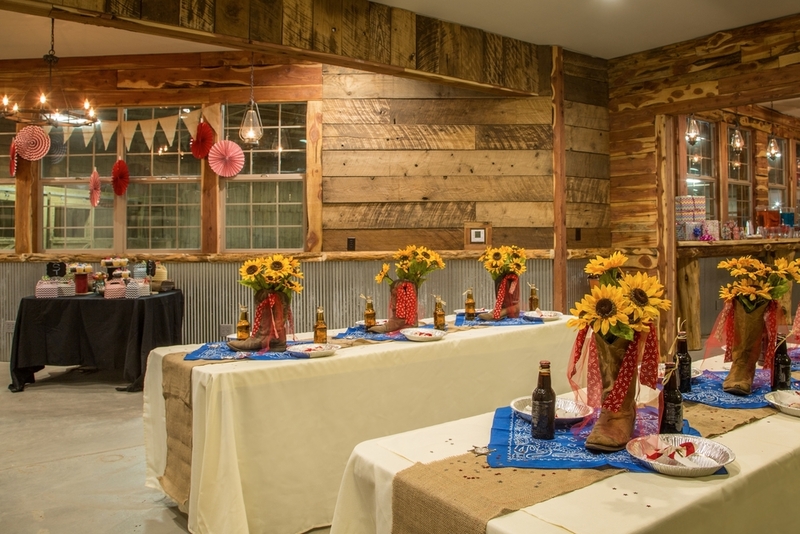 From our rustic red barns, to our friendly, barnyard animals, and beautiful outdoor spaces your guests can expect to enjoy a 'day on the farm', along side the comfort of a climate controlled, Wi-Fi enabled event room. Browse through our Event Pricing and Amenities Guide, then call to plan your event, today! Still have questions? Visit our Event FAQ section for more information. Birthday parties are only the beginning, when it comes to celebrating special occasions for our Kansas City area kiddos! From end-of-season sports parties to club outings, Sunset Trails is the perfect destination for an unforgettable bash! Tired of booking the same off-campus, corporate retreat? Wanting to add some charm to your Bridal Shower? Wondering where to throw the perfect Milestone Birthday or Anniversary party? Sunset Trails is the perfect answer for the incomparable gathering! Our beautiful facilities boast all the latest in the comfort and technology for your next event, all in a stunning Western setting.